Do you accept late work from your students? Year after year this seems to be a continuing controversial question. Let’s take a look at the two perspectives, as both sides make valid points. Isn’t our goal to help students succeed? To help them learn? How can they learn if they don’t do the work? No matter what the time frame is, aren’t we mostly concerned with students learning the material? If this is the case, shouldn’t we accept late work? Shouldn’t we allow students to complete the work and turn it in at any point? Even if it’s 3 weeks after the original due date? If the point is for students to learn, then they need to complete the assignments. Why should the date they turn in the assignment matter? Isn’t our goal to help students succeed? Success is more than just learning curriculum. Shouldn’t we be working to teach the whole child? That should include helping them learn responsibility and accountability. 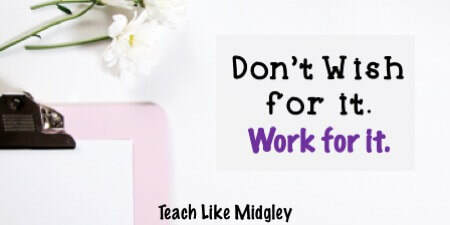 If we are working to teach the whole child, then we should not be accepting late work. Students need to learn how to meet deadlines, if they want to be successful in the real world. If they never have consequences for not meeting deadlines in school, how are they going to be successful at meeting deadlines when they enter the work force? 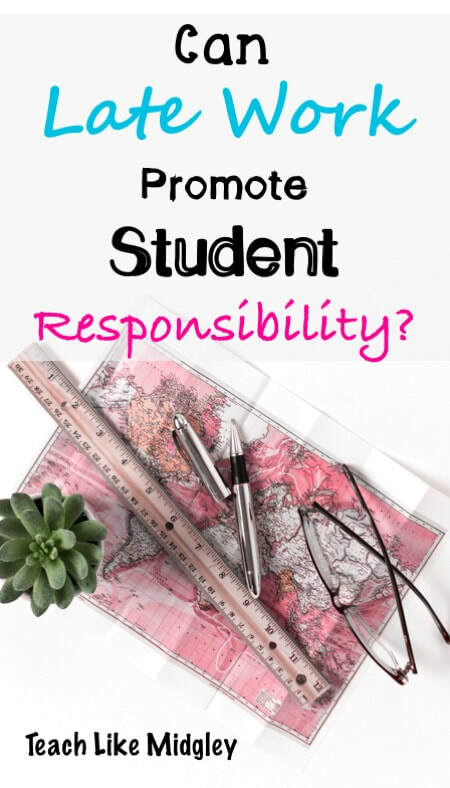 To help prepare them for the future, we need to help them become responsible students who are accountable for their actions. Does anyone stop to consider the ramifications of either theory for the teacher? Not usually. Granted, most teachers become teachers because they care about students and want to make a positive impact on their future. Why consider the teacher? Because the two different policies can affect the work load for the teacher. Most people don’t consider the amount of work the policy to allow late work puts on the teacher. Grading is easiest when you can grade all of the same thing at the same time. Allowing late work means changing your mindset while grading. It also means keeping past answer keys handy at any given time – even those that were needed several weeks before. It also means keeping track of multiple assignments at any given time. To those who are not teachers, these points may seem meaningless and trivial. But I assure you, they have a big impact on teachers. You teach 5 different classes, totaling 130 students. Perhaps you have 5 assignments to grade from week one. That’s 650 assignments. Now consider you are in week 4 of a unit. And you’ve had 5 assignments each of the 4 weeks. That’s 2600 individual assignments. If you don’t accept late work, it’s far more manageable. You can focus on each assignment in its entirety for all your students in one batch. And get the scores entered into the gradebook in one sit down. If you accept late work, you could potentially be trying to grade 20 different assignments during week 4, for any 130 students. Not to mention trying to keep track of which scores you’ve entered into the gradebook, and when. Or, it’s the last week of the grading period and the teacher gets bombarded with late work. If teachers are required to meet their deadlines of having final grades posted, but students aren’t held to the standard of getting their work turned in on time so teachers have adequate grading time... how is it acceptable to expect teachers to make the sacrifice? Now teachers are expected to use whatever time necessary outside of direct teaching time to meet their own deadlines because of the lack of student accountability. While at the same time sacrificing planning time for the next grading period, not to mention the teacher’s own personal life. Is it possible to have both? Accept late work, but only up to a point? Most grading periods are 9 weeks long. That’s a lot of assignments to manage. Is it possible to have a policy where late work is accepted, students are held accountable, it’s still manageable for teachers? Stay tuned for my next post where I share my own experience handling late work in my 6th grade classroom.